Production lines at the former MG Rover plant in Longbridge have been stopped and up to 20 employees could be made redundant, the BBC has learned. Production of the MG TF sports car restarted at the factory last year but it is now thought production work will not resume until next March, BBC Midlands Today Transport Correspondent, Peter Plisner, said. 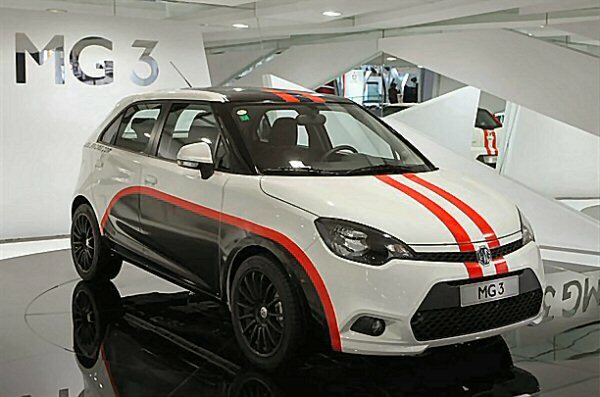 MG Motor UK Ltd, previously Nanjing, said it was making some workers redundant but had not decided how many. In a statement, the company, which bought MG Rover’s assets following its collapse in April 2005, said: “Clearly this is a difficult time for employees and it would be irresponsible to make this a bigger issue than it is”. Peter Plisner said the firm had confirmed 2009 production of the MG TF model at Longbridge had now ended. Under Chinese ownership, it was hoped that new models would be built at the plant and more jobs created but in April MG Motor UK Ltd said it could not make assurances of long-term employment stability for staff due to the current economic climate. It really is time that SAIC, through MG Motor UK Ltd, woke up and realised that they need to give public confirmation of a greater commitment to their UK operation – there is clearly a lack of buyer confidence in the current TF. The TF is based on a fifteen year old design that Nanjing and SAIC have done very little to in the three year period between acquiring MG Rover’s remaining assets and relaunching it last year. MG Motor UK Ltd’s PR Department rarely issues any press releases about either product launches or corporate news confirming that MG has a secure future at Longbridge and the company rarely conveys the passion for the MG brand that was so evident when MG Rover Group was in the driving seat. MG Motor UK Ltd needs to get back into the real world and use real professionals to sell the appeal of the MG brand, the TF model and hint at the launch of potential new models, rather than relying on the advice of MG Clubs and rose-tinted nostalgia. MG Motor UK Limited has, as you may have read elsewhere on AROnline, just this week appointed a new Sales and Marketing Director, Guy Jones. Hopefully, Mr. Jones will adopt the more proactive Marketing and Sales Strategy which you have outlined above. The management at MG Motor UK do, at least, seem to be doing what they can to keep as many people on as possible. I still think the company needs to try harder to get a credible and visible UK Dealer Network and also exploit opportunities in overseas Anglophile markets. I note all 50 85 LE’s have sold already – looks like the widely held prediction that it was far too few was correct.